Give yourself the rush of a lifetime. 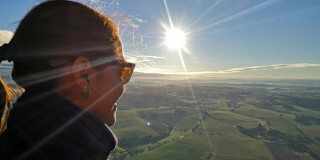 Take a deep breath, jump, and fly over panoramic views with this amazing skydiving experience just outside of Prague. Discover Prague with your running shoes on. Jog the twisting streets of Lesser Town and Old Town, and cross the Charles Bridge for a run to remember. Discover Prague beneath the starry night sky. 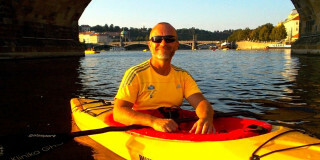 Cruise along the Vltava River, enjoying a buffet dinner and live music as the sun sets behind Prague Castle. We had a very nice time on board of the Great Boeamia. 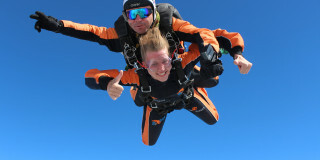 The crew was amazing , the food was good and the view was breathtaking. Thanks a lot. 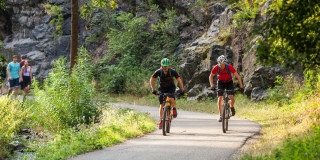 Enjoy amazing nature trails right in Prague or perfect road biking together with professional film making session including filming with a drone. Bring home a unique souvenir from your biking. 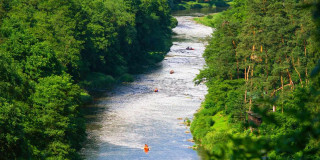 Kayak through Prague’s historic city center and discover magical nooks and corners hidden to typical tourists. 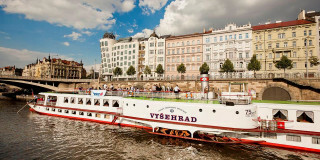 Enjoy a night out in Prague on a luxurious glass boat. A buffet dinner, champagne, and views unlike anywhere else in the city make this the perfect evening. If you want to get to the best Czech brewery, you have to earn it! 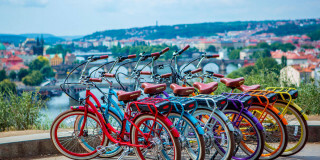 Our most popular Prague advanced biking tour. Experience Prague away from the crowds. 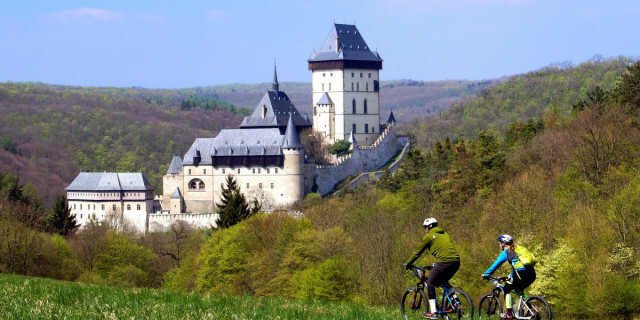 From the ancient Charles Bridge to the fortress of Vysehrad, this cruise shows you exactly what makes the Czech capital an extraordinary place. As you explore the twisting streets of Prague, take a break and enjoy a wonderful meal on this cruise along Prague's highlights. 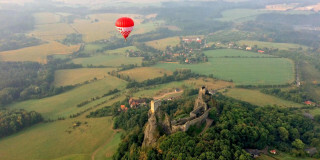 Float above the rolling hills and forests of the Czech countryside on a hot air balloon ride. Reach unbeatable views of a historic chateau as you experience this Central European jewel like no one else. From medieval homes to a charming mill wheel, this cruise is a fairytale journey through Prague. 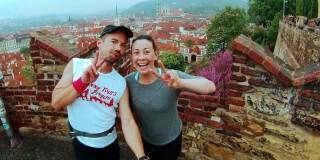 A heart-pumping run through the maze of Old Town, the wonder of Prague Castle, and more for a sweat session to remember. Admire Prague's famous panoramic views as you cruise down the Vltava River. 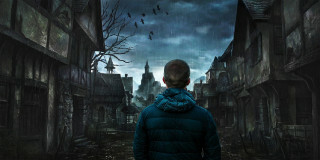 Challenge your mind as you follow riddles, clues, and tasks using this perfectly crafted app. An innovative, adventurous way to discover Prague and explore the mysterious Vysehrad. 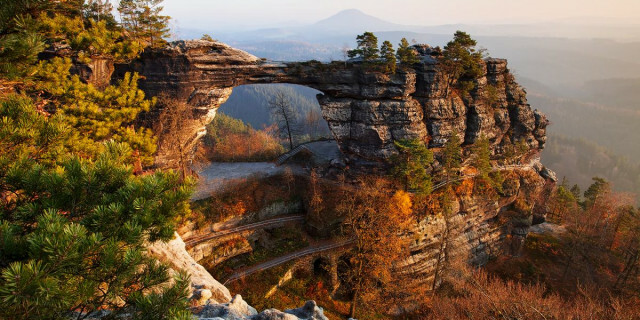 Are you looking for more outdoor activities in Czech Republic?